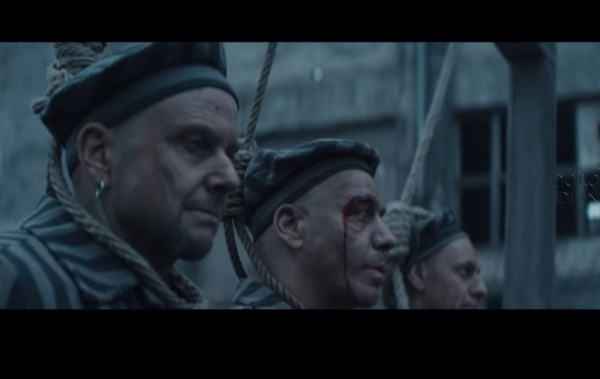 Rammstein a lansat in sfarsit o piesa noua si au anuntat si faptul ca noul album va fi lansat pe 17 Mai, la 10 ani dupa precedentul album. Clipul a nascut deja controverse, fostul presedinte a Consiliului Evreilor din Germania declarand: "With this video, the band has crossed a line. The instrumentalization and trivialization of the Holocaust, as shown in the images, is irresponsible." Richard Kruspe a declarat despre album: "Well, when I thought to do another RAMMSTEIN record, I was like, 'No, I'm going to do that. I'm not going through more suffering,'" he said. "That was four years ago. But what we did in the beginning is we said 'Let's get together and try to come up with three or four songs.' We didn't really put any pressure on us, which was very important at this time. While we were starting to rehearse and stuff and getting ideas, I thought, 'Wow, it's actually very good. Things have changed.' All of a sudden, there's a certain kind of respect that I always missed a little bit. We just had good chemistry, which reminded me of the first time when we started. Then I felt, like, 'What would interest me on a new RAMMSTEIN record?' I thought, 'Every time people talk RAMMSTEIN, it's about fire. It's all about the show.' Nobody talks about the music anymore for RAMMSTEIN, and it kind of bothered me. I was thinking, 'I want to do another record. It has to be musical in a way that can really stand out from other records.' That was my goal, or our goal."